Trees up to 30 m tall and 40 cm diameter. Leaves alternate, ovate, 13.5-34 cm long, 3-13 cm wide, with prominent venation and no hairs, petioles 7-17 mm long. Inflorescences with 1-2 flowers on twigs or older branches, placed almost leaf opposed. Sepals ca. 4-10 mm long, outer petals up to 30 mm long, inner petals up to 27 mm long. Fruits consisting of one carpel, white-yellow, 21-83 mm long, 9-70.5 mm wide. 23-26 seeds per carpel, ca. 27 x 16 x 8 mm. 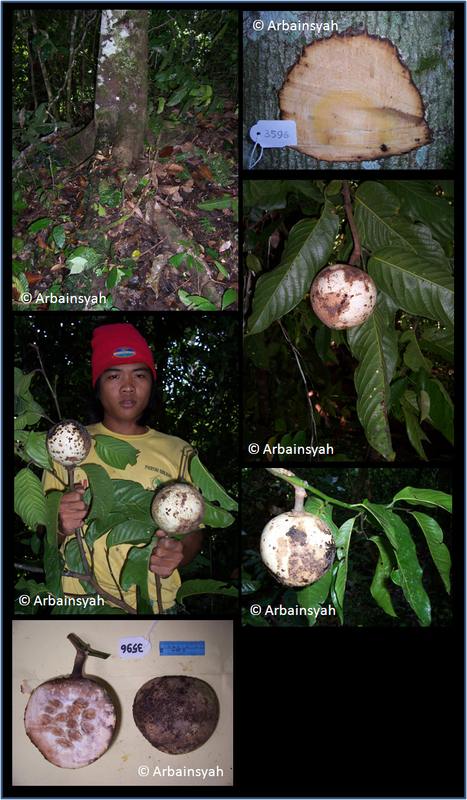 Endemic to east Borneo. Primary or secondary forests, over sandstone, limestone, and loam soils, on flat country, low ridges, hill sides, along rivers; 15–100(-800) m elevation. Very close to Cyathocalyx sumatrana.